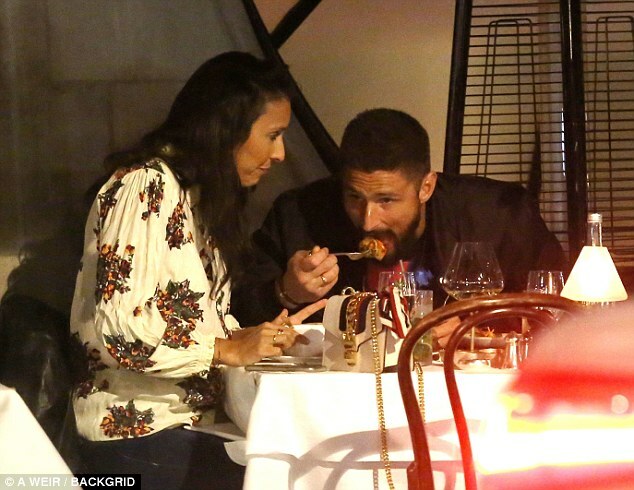 Chelsea striker Olivier Giroud treated himself and his wife to a romantic meal in London ahead of facing his former club Arsenal. Giroud – a World Cup winner with France in the summer – and his wife Jennifer enjoyed a night out at Scott’s restaurant in Mayfair on Wednesday. The loved up duo, who married back in 2011, were pictured enjoying a meal and a few drinks before cosying up for selfies outside the popular seafood restaurant. Giroud took time out of his club duties ahead of the eagerly-anticipated Premier League encounter with Arsenal at Stamford Bridge on Saturday evening. The French striker was an unused substitute as Chelsea comfortably beat Huddersfield 3-0 in their opening league game of the new season at the John Smith’s Stadium. Prior to the game against Huddersfield, Giroud insisted he wants to stay and battle for his place at Chelsea under new boss Maurizio Sarri as he bids to earn a new contract. Giroud signed for Chelsea on an 18-month deal in the January transfer window after arriving from London rivals Arsenal for £18million. But Giroud was in and out of the team last season as he competed for a place with Alvaro Morata, making just six Premier League starts and scoring three goals. 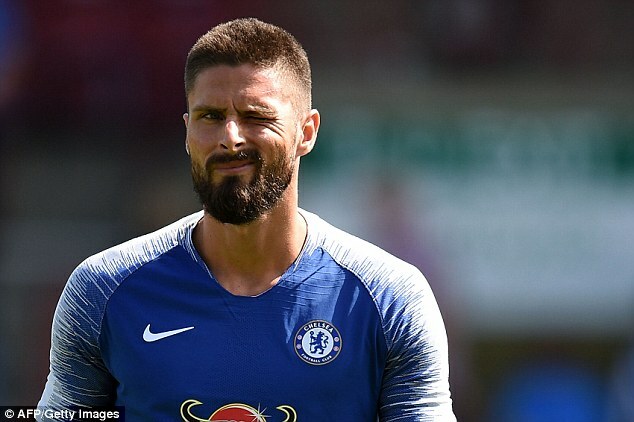 Giroud held talks with Marseille earlier this summer but opted to remain at Stamford Bridge, where he wants to earn a regular place in new Sarri’s XI. Asked if he had any interest in joining the Ligue 1 side, Giroud said: ‘No, I am happy here at Chelsea. I just arrived a few months ago and am just starting to settle well.